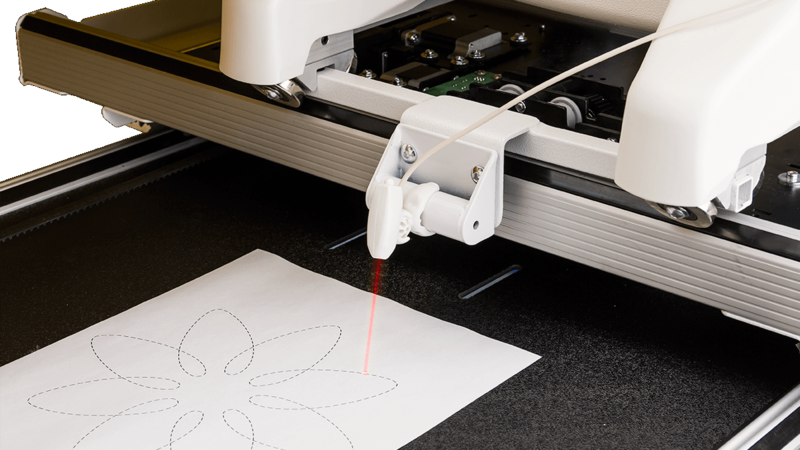 The laser stylus can also be used from the rear of the machine, perfect for tracing pantographs and patterns from the rear table of the quiting frame. A special attachment piece is included so you can set the laser up on the bottom of the carriage. Rear handles (a separate accessory) must be used when using the laser stylus from the rear of the quilting machine.